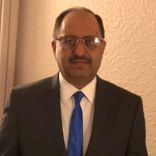 Any one wanting to execute or seek a Relinquishment Deed to succeed or release his share in a property in India, whether residential, commercial or agricultural in the presence of other legal heirs may use this document to complete the formality. 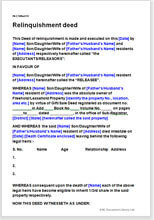 This "One" document has been drawn to complete relinquishment by several legal heirs of a deceased who died intestate, of their legal succession rights and future interests in a property left by the deceased in favour of one of the other legal heir or anyone else. Very basic and comprehensive document required to be mandatory registered. This document at times is also defined as Release Deed.